Here at Simply Driveways, we only use oxides that have been mixed throughout the concrete, ensuring that the colours are permanent. Our experienced team will construct your coloured concrete driveway using only high quality materials and a high level of workmanship, including making sure that the driveway is laid properly and finished with a high quality sealer. More importantly, coloured concrete now comes in a wide range of colours so no matter the style or colour of your property, there is sure to be something that will suit. For general maintenance, sweeping your coloured concrete driveway and hosing it down with detergent and water will keep dirt build-up at bay, and you should also inspect it during the cleaning process for any cracks or fissures. Cracks have to be mended straightaway; otherwise moisture or chemicals from spills could penetrate the surface of the concrete, get down to the substrate, and start to break it up. Also, if your coloured concrete driveway is purely for residential use and not heavy industry use, for example, the concrete drive will need to be resealed around every two years. If it is part of a business access road or you live in areas subject to extreme weather conditions, then you will need to reseal more often than that. 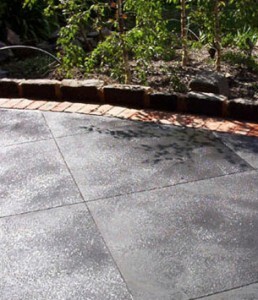 For more information on our coloured concrete driveway services in Melbourne, contact us today. With Simply Driveways, you’re guaranteed a driveway that’s simply amazing – every time!